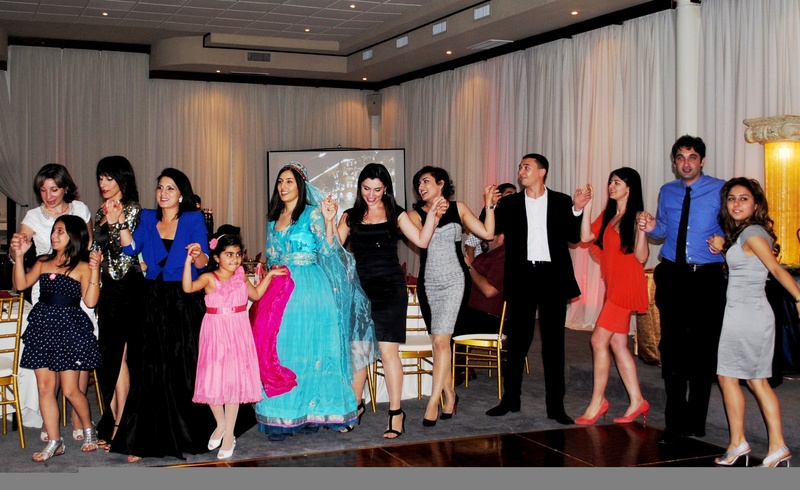 Saturday night, March 24 at Le Virage Ballroom on Westheimer, Houston’s friends of Azerbaijan dressed up, dined and danced the night away at the annual Novruz Bayram gala organized by the Houston-Baku Sister City Association (HBSCA). At the celebration, the international crowd with guests from US, Azerbaijan, Turkey, Iran, Iraq, Holland, Switzerland and Pakistan held hands to cheer for the arrival of the spring maiden carrying a dish of freshly sprouted wheatgrass, so-called “Samani”, symbolic of the new year. The 100+ guests included Texas State Representative Mrs. Alma Allen, the honorable Mr. Cemalettin Aydin, Consul of Turkey, representatives of the Houston Mayor’s office for Protocol and International Affairs (HOPIA), Sister Cities of Houston, various businesses and organizations with an affiliation to Azerbaijan and of course many of the expatriates from Azerbaijan living in Houston. Novruz is one of the most beloved and colorful holidays in Azerbaijan. Meaning “new day”, Novruz marks the arrival of spring and the beginning of the year for people in Azerbaijan, Turkmenistan, Afghanistan, Iran and other common cultural heritage countries. Novruz has been celebrated for at least 3,000 years and is rooted in the ancient traditions of the Zoroastrian belief system. HBSCA is one of the first of the 17 sister cities of Houston, organized under the umbrella of Sister Cities International to foster a non-profit citizen diplomacy network seeking stronger economic and cultural ties at the municipal level between the cities of Houston, Texas and Baku, Azerbaijan.